Installing WordPress is the beginning of a shorter or longer period of work on a new website. To get off to a good start, it’s worth doing a few steps to make your future website safer, more efficient, easier to position and free of popular bugs. Decide if you want Gutenberg. 1) Make sure that page indexing is disabled – so that no strange, test data related to your domain will appear in search engines. 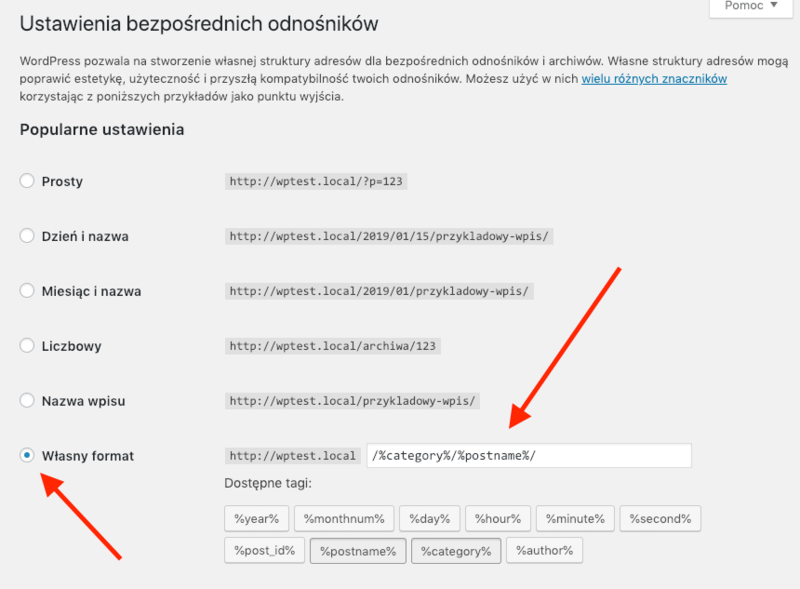 Indexing can be disabled at the stage of WordPress installation and after its installation in the cockpit in the section “Settings -> Reading -> Ask search engines not to index this site”. 2) Install a plug-in that will display the page mode screen to non-logged users. You can find such plugins under the phrase “maintenance” in the official repository of WordPress plug-ins – choose one that meets your needs (and many of them have a lot of options for configuring the appearance of the page). 1) Change the name of the default category – the original name is “No category”. (or its translation depending on the selected WordPress language). Change it to the category name that will be used most frequently on the page for future entries (if you do not select a category for an entry, they will be assigned to this category). 2) Select the preferred URL format for your website. In the “Settings -> Direct links” section you can select one of the many available formats. Personally, I prefer my own format in the form of /%category%/%postname%/ or a format called “Entry name”. 5) Enable comment moderation (if you want to use it) – in the “Settings -> Discussion” section, enable the “Comments must be approved manually” option. This will protect you from publishing inappropriate content without your knowledge. 7) Remove the pre-installed plug-ins. 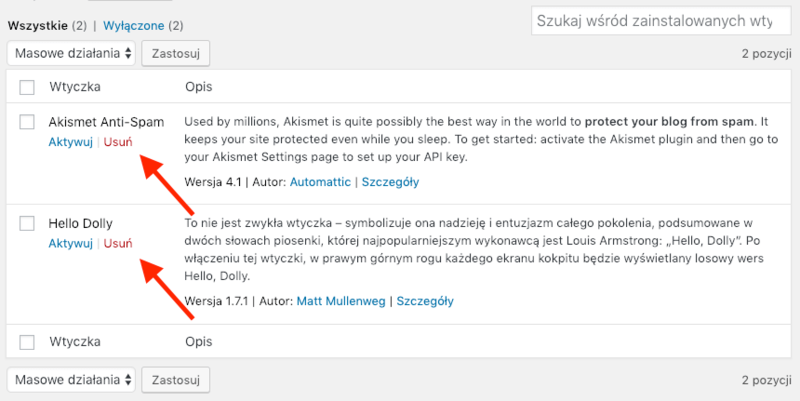 The Hello Dolly plugin is unlikely to be needed, and the Akismet plugin may not be useful in many cases (especially if you don’t plan to have your comments on the site turned on). If other users have access to the cockpit, it is worth limiting their privileges immediately, so that they have access only to the WordPress functions they need. This way, you can reduce the risk that the content manager will not change the configuration of WordPress or the design of the theme. By default, WordPress has several user roles – their exact permissions can be found in the Codex table of WordPress. If you are not satisfied with the default roles offered by WordPress, you can use a plugin that allows you to create your own roles with the permissions specified by the administrator. This plugin is for example AAM (Advanced Access Manager). Plugin for managing roles in WordPress. Analyze what features your website should have and then search for plug-ins to meet your needs. 4) WP Updates Notifier – thanks to it I get information which plugins need to be updated on my e-mail. WordPress 5.0 has introduced a completely new block editor – Gutenberg. Unfortunately, it is not yet fully developed and has problems with compatibility with various plugins. If you are worried about using the new editor on your website – you can restore the old editor by installing the Classic Editor plugin. It is worth remembering, however, that the support for the old editor will not be developed infinitely – probably in the next 2-3 years you will still have to change to Gutenberg, although then it will certainly be much more refined. 1) define('WP_POST_REVISIONS', 5); – with this line you will limit the number of stored revision entries to the maximum of the last 5. This will ensure that frequently edited entries and pages will not generate too much information in the database. Remember, however, that you will not be able to go back in the history of editing too long after this change. 2) define('EMPTY_TRASH_DAYS', 7); – this option changes the time of storing entries in the recycle bin to 7 days instead of the standard 30. 3) define('WP_DEBUG', true); – this option starts debugging mode in WordPress. Thanks to this, any errors appearing in the process of working on the website will be easier to track. Of course, when you finish working on a page, you should remember to turn this option off. After the described actions it’s time to start working on your new website 🙂 Soon we will describe what is worth doing before the website is published.